If you are already using Church Community Builder (CCB) to build community, engage people, and help grow disciples, but not quite as satisfied with CCB’s Twexting™ feature, we have built a solid integration. With our 2-way integration, we immediately send data over to CCB once it is found. 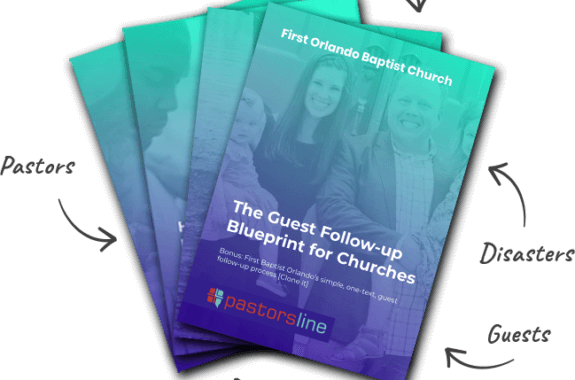 New data from CCB is synced to PastorsLine when you login to our application. 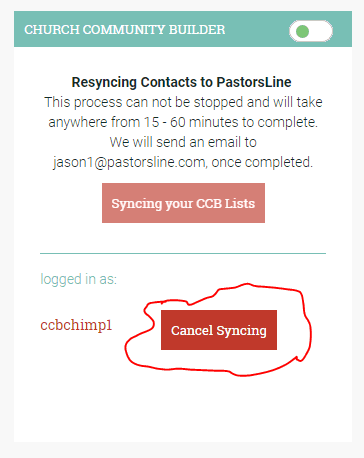 If you ever need to manually pull in the latest data, we allow you to resync your entire contacts and/or CCB groups to PastorsLine. In cases where you change your mind or the application is taking longer than expected, you can now STOP the resyncing. As we grow, we can manage CCB accounts with 1k to 100k contacts. We have increased our server space and re-coded our application to work better with larger data. However, if things fail for whatever reason, you (and our team) will be notified.